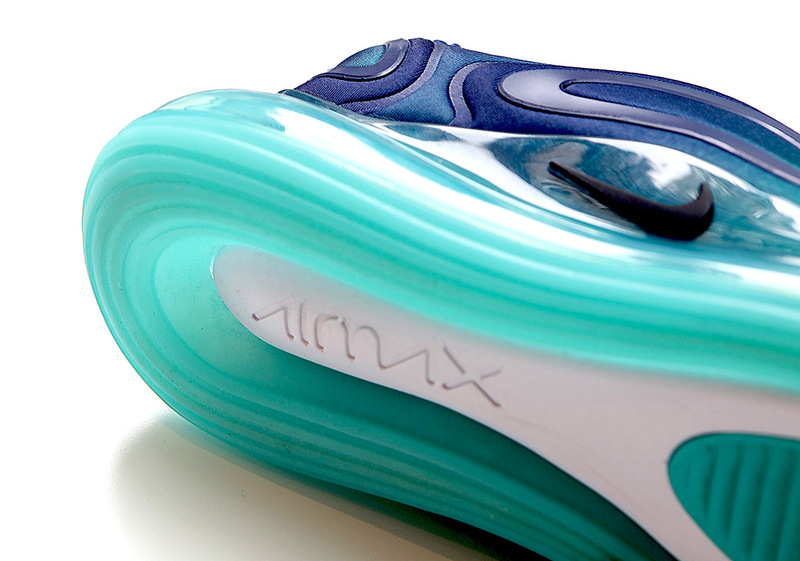 The performance qualities of Air Max made it a success on the track, but the enchantment of it continues to drive global demand. 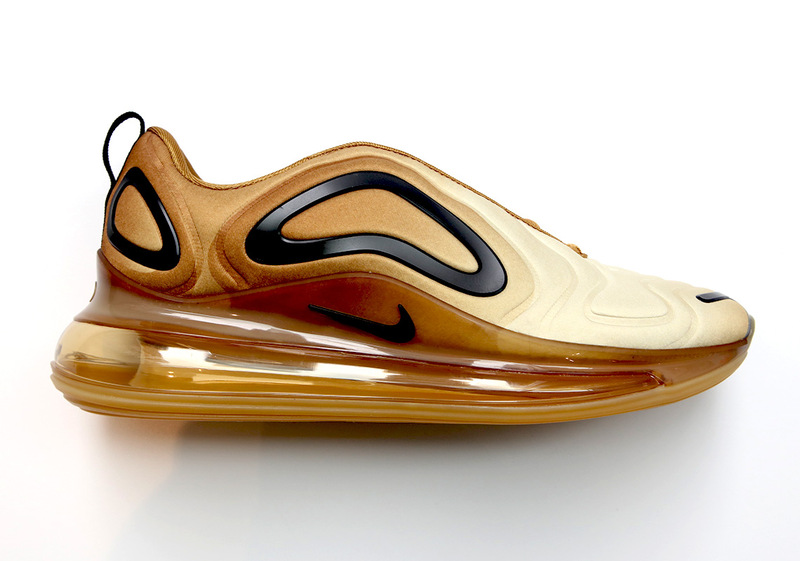 There truly is nothing like the bulbous and transparent cushioning platform, and as the public clamored for more Air, Nike delivered. 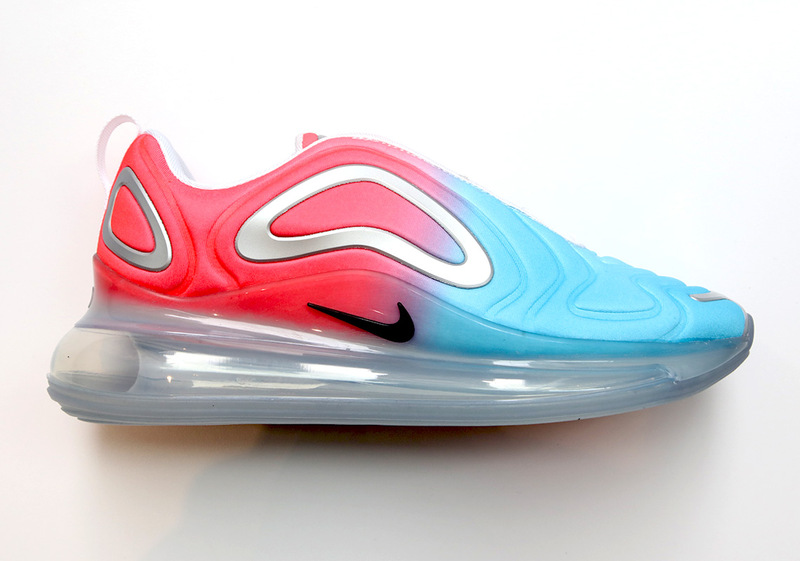 Year after year, the brand pumped in as much as they could while focusing on the quality of its placement, with models like the Air Max 95 visibly displaying targeted zones while the Air Max Plus flaunting a fine-tuned unit that responded to running motions. 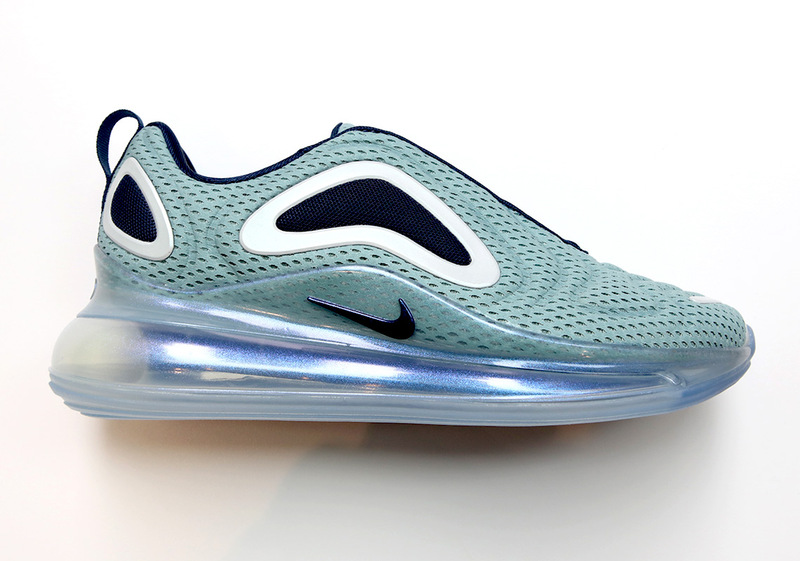 Over three decades later, the brand is still toying with this shapeless cushion, and in 2018 they introduced the first-ever Air Max unit built specifically for everyday use. It was focused less on track times and foot-mapped hot zones of world class runners, and more on those who are on their feet for hours a day – the commuters, medical professionals, avant-grade chefs, students rushing to class, and even the bloggers who get up from their laptops. 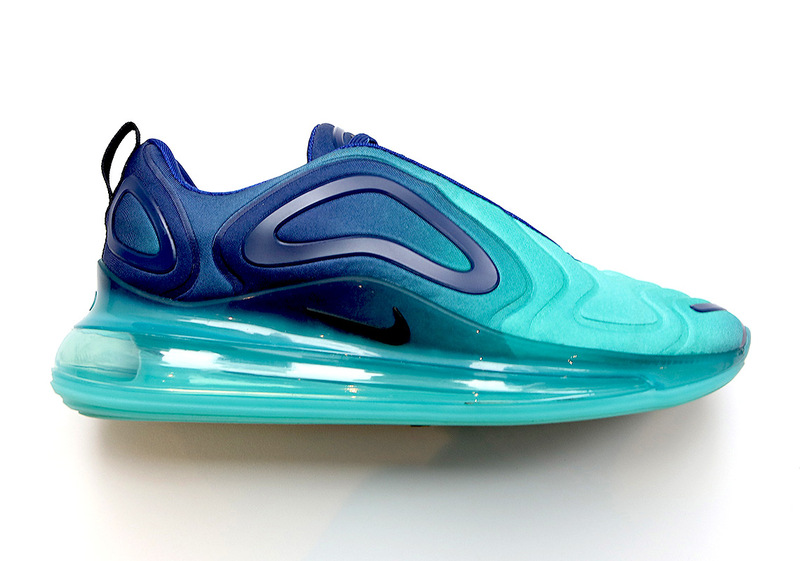 It was the perfect shoe when the brand needed it the most; the Air Max 270 was the second best-selling sneaker in North America in Q2 and Q3, playing a huge role in the Swoosh brand’s double-digit growth in sales. 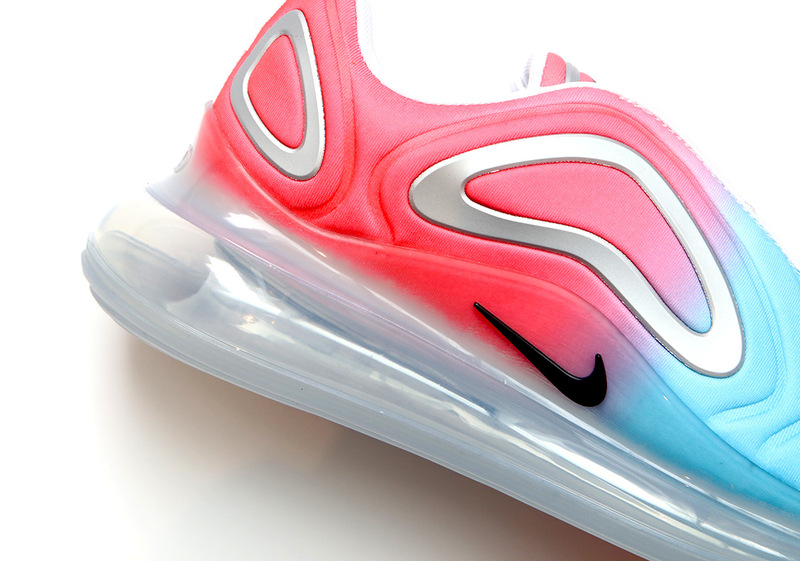 After officially teasing the shoe back in September, Nike is ready to unleash the next chapter – the Air Max 720. 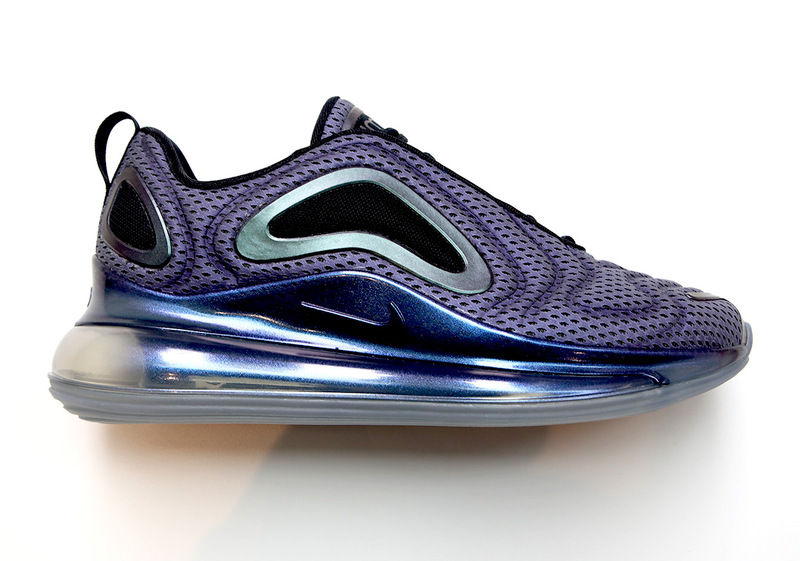 Following the engineering principles of the Air Max 270, the 720 unit introduces a unique construction that allows the foot to rest on the platform similarly to how a person sits snugly and securely above an inner-tube. 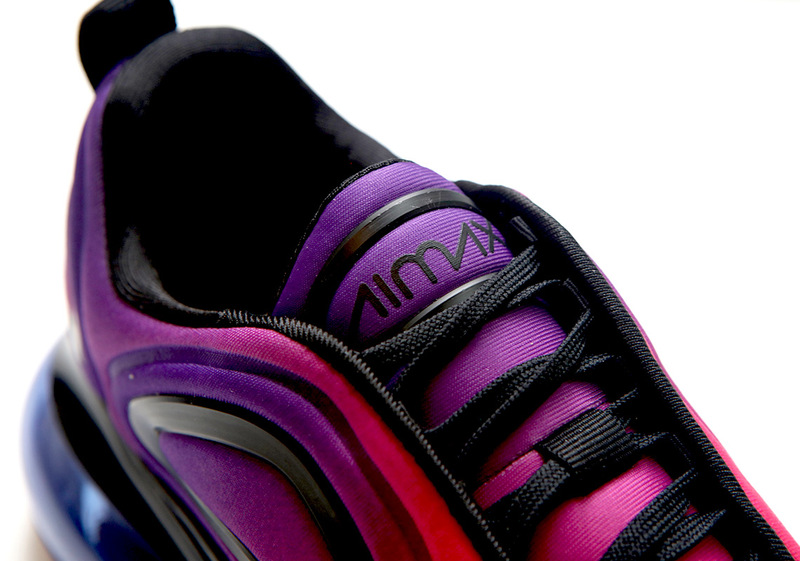 The upper shell is also in stark contrast to the performance footwear on the market. 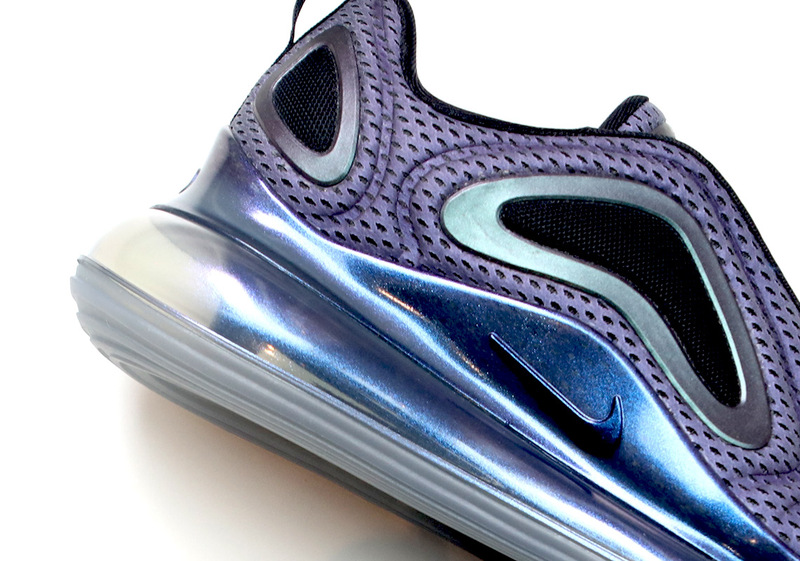 Striking designs such as the Pegasus 35 Turbo may feature an aggressive, over-sized Swoosh that dips into the midsole, but the 720 keeps things minimal with the branding while focusing on a retro-future aesthetic. 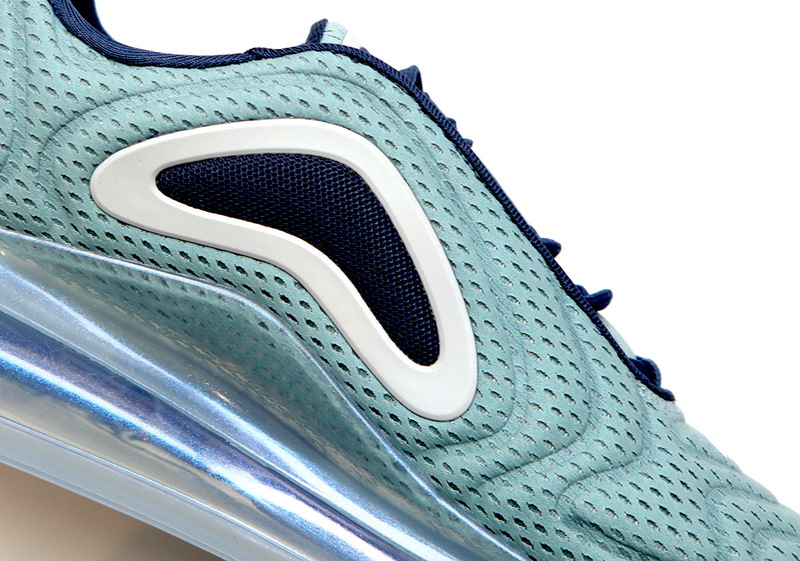 Themes of nature and energy play a major role in the debut issues of the Air Max 720. 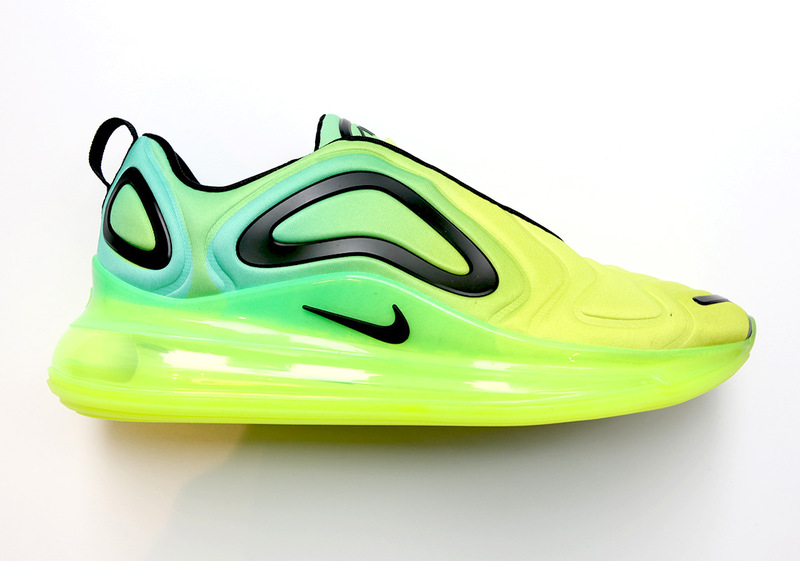 In response to the exhausting climate of politics and social issues, Nike aimed to provide a refresh by focusing on colorways based on naturally occurring phenomena such as the Aurora Borealis and even the daily sunrise and sunset. 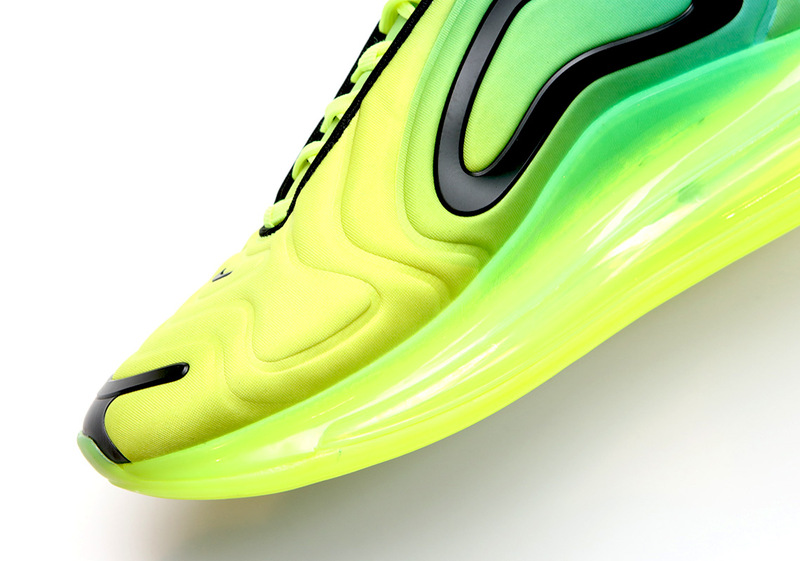 The selection of these vivid hues may have a solemn intention, but it’ll certainly help to stand out on over-populated shoe walls that are in the double-digits vertically and horizontally. 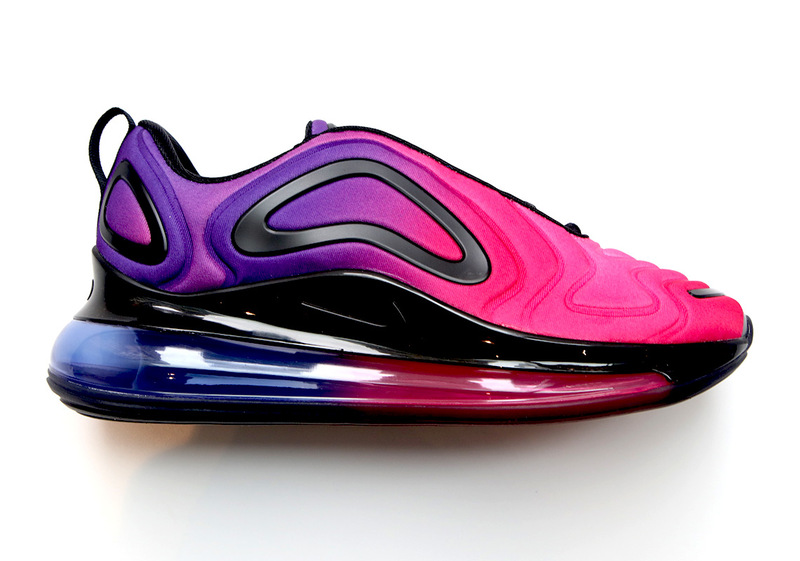 The Nike Air Max 720 ($180) officially launches on February 1st in the two Northern Lights colorways (men: Night, women: Day). 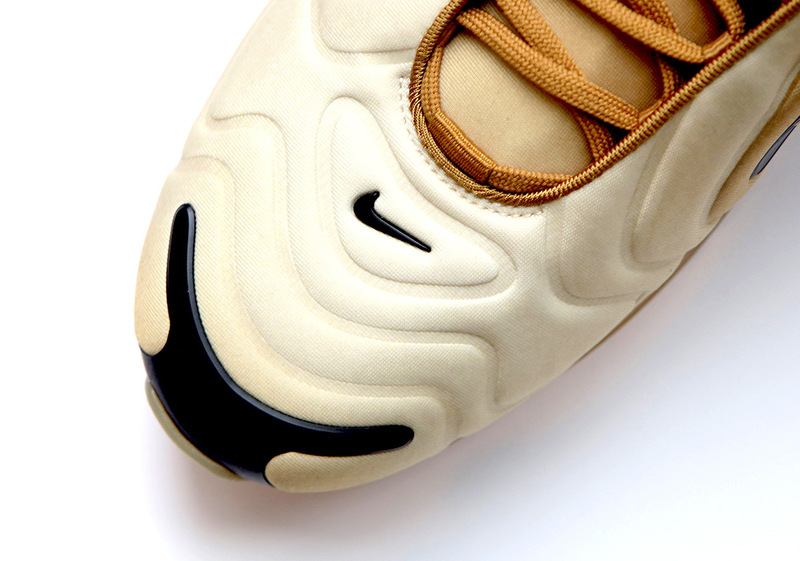 The “Sunset” themed pairs will be available on February 21st to Nike Plus members, while a variety of other colorways will drop on February 28th.